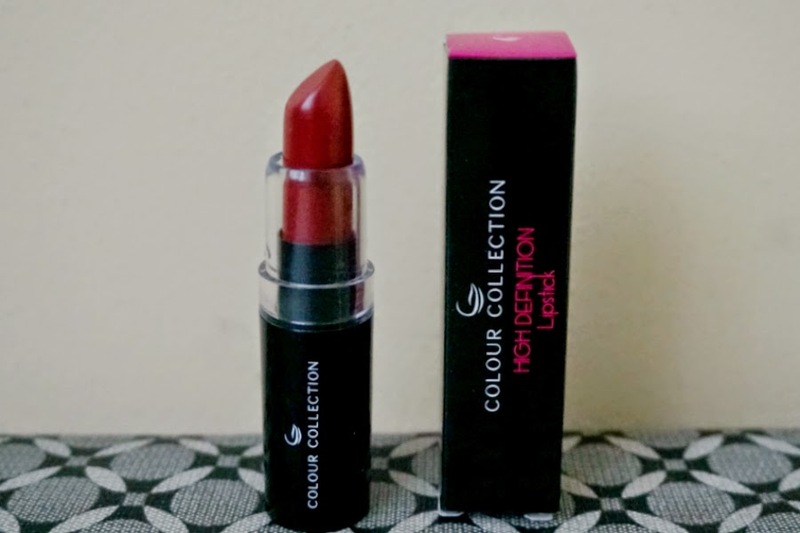 Hey guys, this post would be the last of the series of Colour Collection HD Lipstick that I got from Sample Room haul. 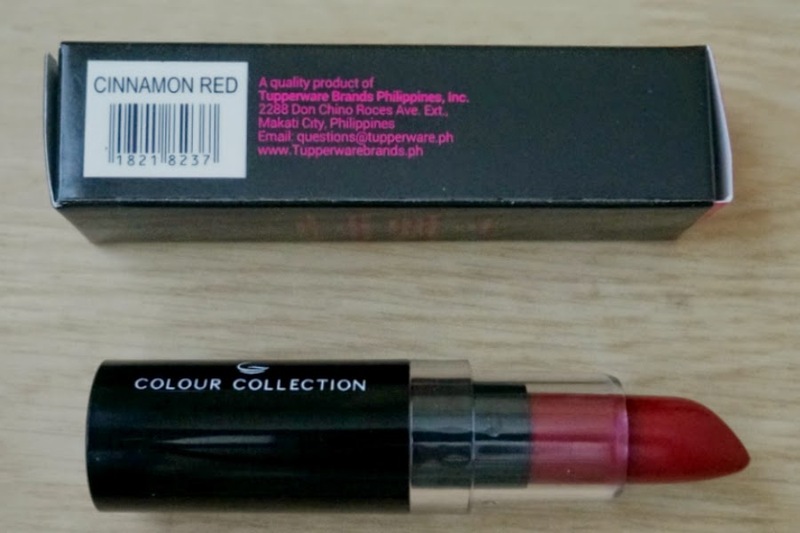 This shade is Cinnamon Red, a medium red with slight blue undertones. 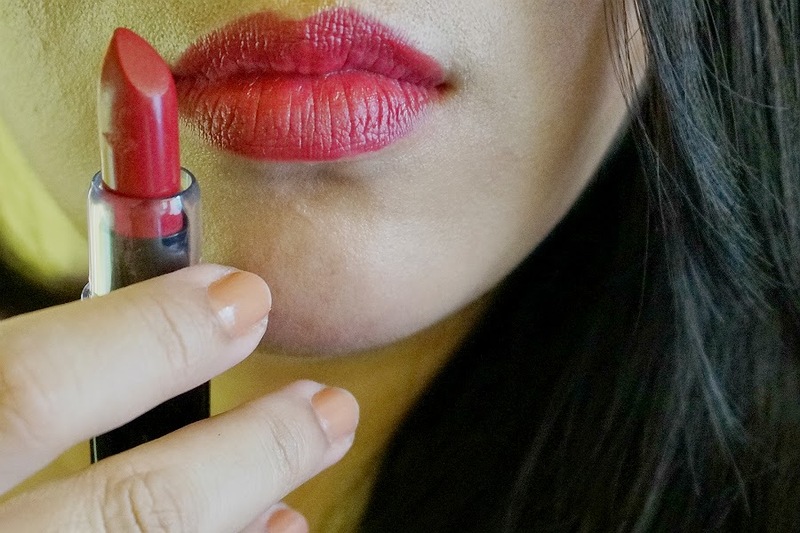 The color appears to be a deep, dark red on the tube. Swatched on my arms, it was disappointing to see that it applied sheer. 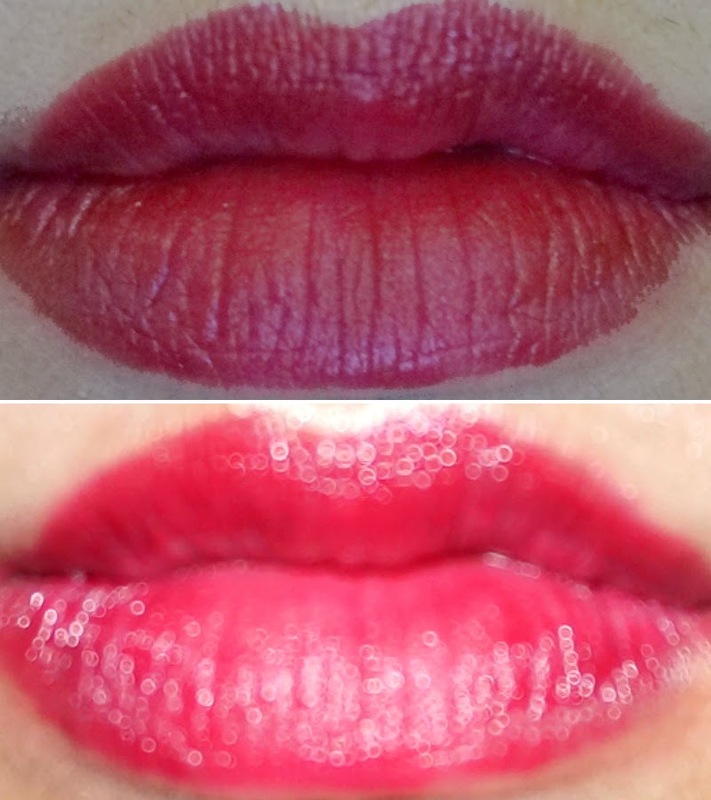 This was the same case with the two other shades I had reviewed previously: Pink Berry and Raspberry Red. 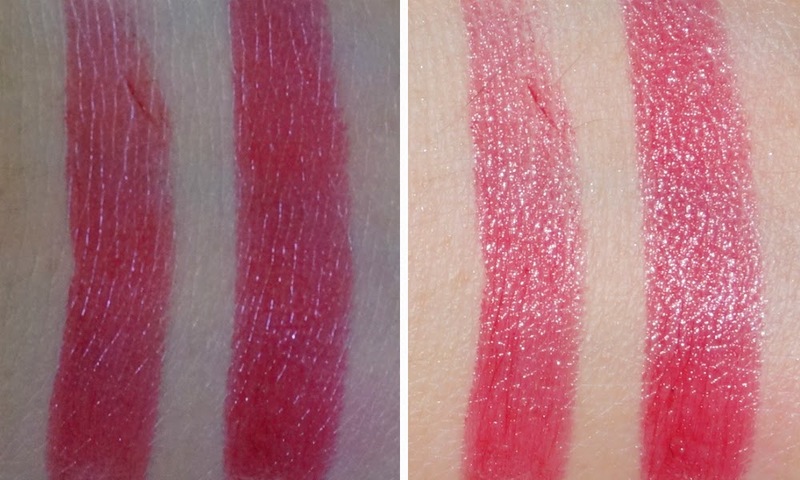 Cinnamon Red has pretty much the same consistency, application and lasting power as the two other shades mentioned earlier, so you can click the links if you want more details. 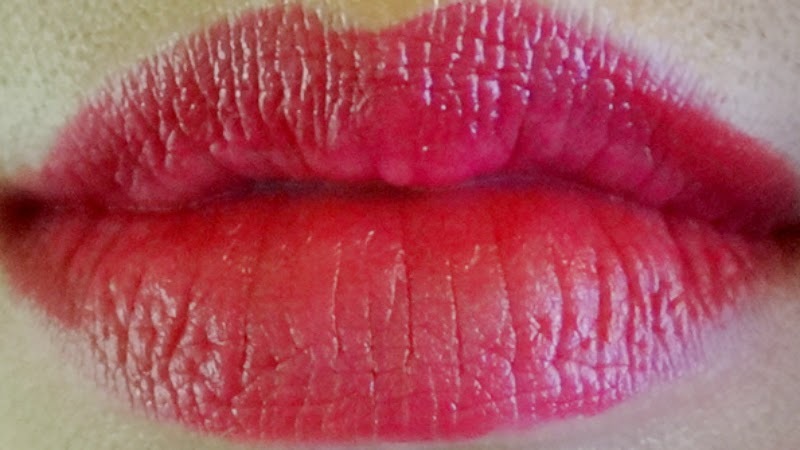 This lipstick applied evenly, with minimal tugging. 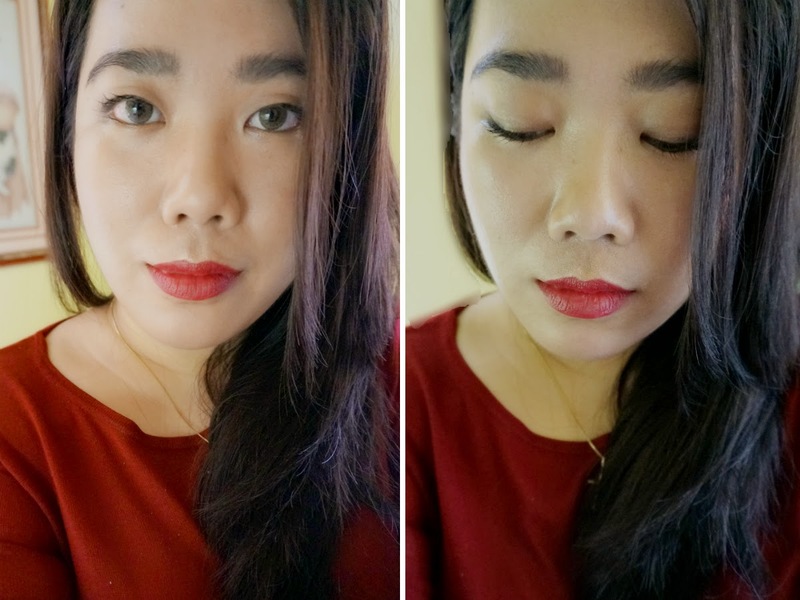 The color was very opaque and covered up any lip imperfections. 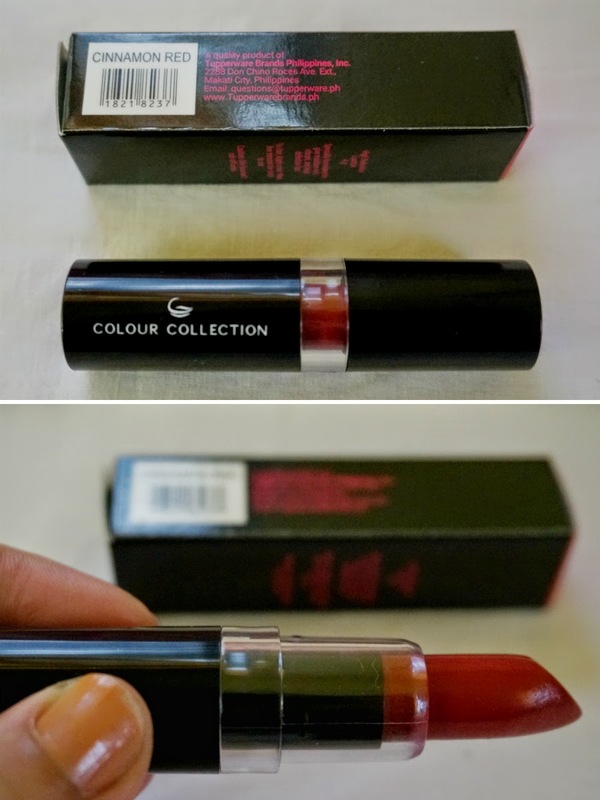 Overall: Colour Collection HD Lipstick in Cinnamon Red delivers smooth, opaque color that does not settle on lines. 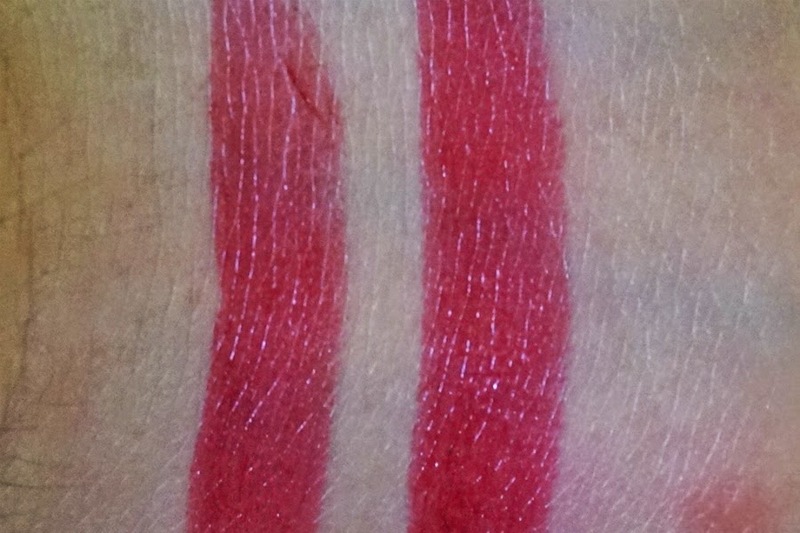 This shade is the most saturated and opaque of the three Colour Collection HD Lipsticks that I have. However, it's not as pigmented as I would have liked, considering how it looks so dark and rich on the tube. The "sheerness" does mean that you get away with wearing this otherwise bold color even on casual days and relaxed days.